Kindly note that the men's Squad Practice scheduled for the 24th June 2012 has been postponed to Sunday the 8th July 2012, commencing time 9am, reporting at 8.30am. 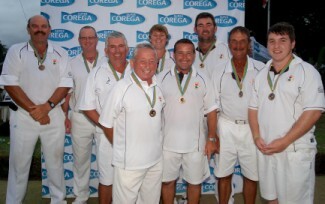 All players who represented Border in the Inter Districts in March 2012 are invited to attend. Each one to hand in one 20/20 assessment on the day, signed by the Marker. 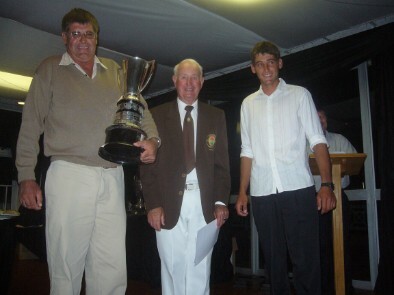 All men who took part in the Inter Districts Tournament in March 2012 are invited to attend a Squad Practice to be held at the EL Bowling Club on the 24th June 2012, starting at 9h00, reporting time 8h30. This practice is of ultra importance which includes a discussion on fund raising. All participants are requested to submit at least one 20/20 on the day, undertaken in own time and signed by your marker. Any queries phone Arthur 0722050707". Name Played Points Shots For Shots Against Shot Diff. 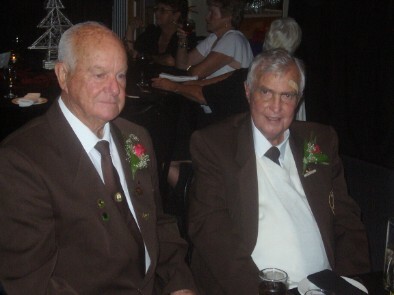 Brian Levey passed away on 18 December 2011. 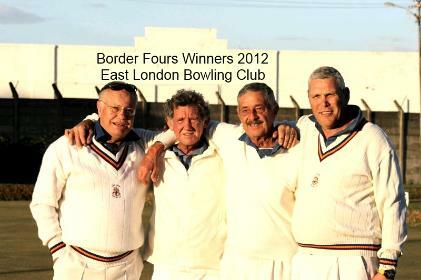 Thanks Brian for all you did for Border Bowls. 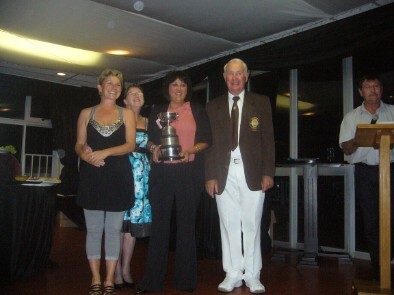 Victrix Ludorum winner Nola Warner with her trips runners up partners, Anne Robinson and Skip Barbara Taylor and Border President Frikkie Pieters.